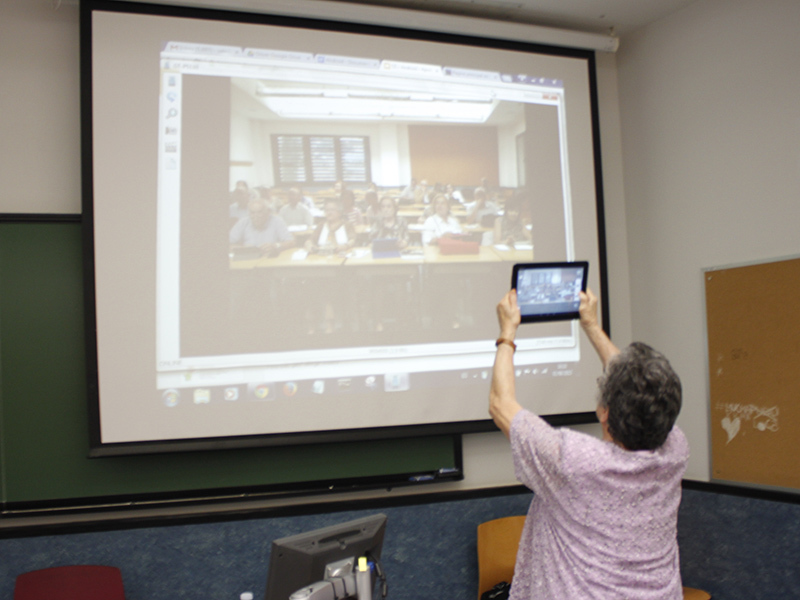 Home/Senior courses/Seniors @ DigiWorld; learning and using tablets. In this course it is intended that older people can take advantage of and enjoy smartphones and tablets, in order to communicate with their friends and family, find information and navigate securily and with confidence. If offered to people over 55 years of age, this course would be co-financed by the European Seniors project @ DigiWorld, which promotes literacy and digital inclusion of older people. For adults and seniors, who have a smartphone or tablet and want to manage with more ease and comfort, as well as learn how to enjoy it. 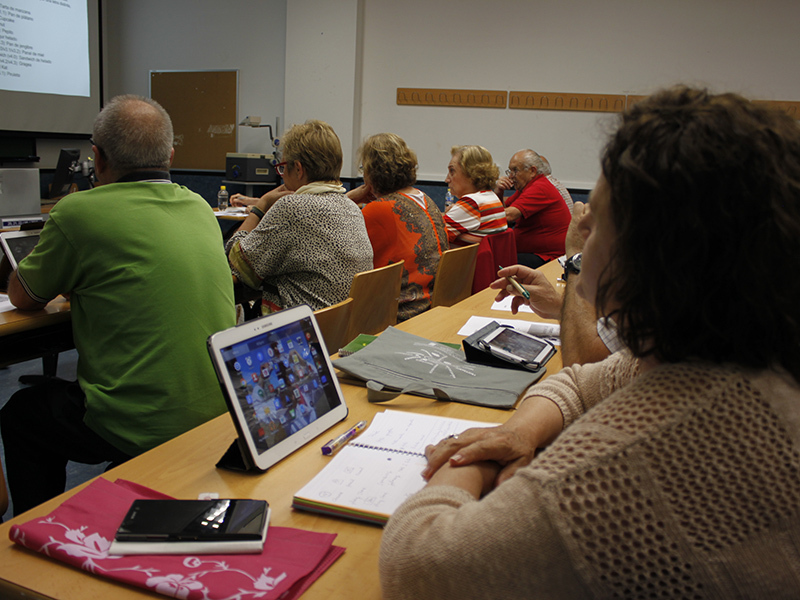 The elderly will learn in a practical way with their tablets and Smartphones. Lessons will be presented through examples and cards (guides-tutorials) will be distributed so that they can be taken as reference and reviewed. We propose 20 sessions of 2 hours each, aimed especially at people with a basic level. The proposed content is based on the explanation of a wide range of functionalities and applications so that, in this way, each student can select and use the one that most interests them. Basic concepts of configuration and connection of the tablet or smartphone to the network. Set the tablet to your liking and use it comfortably; Basic settings, such as the screen, writing. Win in confidence and security with privacy options and basic protection concepts. Security in payments. Stay in touch with your friends and family, take advantage of new forms of communication and share with them what you want. Discover and enjoy the applications of your smartphone or tablet, always with you: maps, videos, music, photography and camera. Enjoy social networks, new possibilities for creativity and share hobbies.